China’s imports of crude oil are picking up after a lackluster third quarter. Reuters reported that China has increased permits for small refiners, allowing an extra 700,000 barrels per day of crude imports since July. That equates to around 10 percent of China’s total import levels. Reuters says that China is increasing purchases of crude from the North Sea, Angola, and Russia. 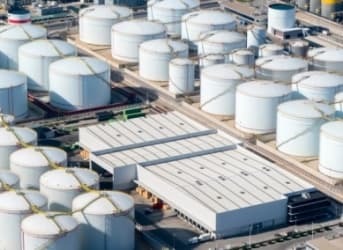 The first round of storage is already complete in China, with a capacity of around 103 million barrels. Phase 2 of the SPR is currently under construction and expected to be completed by the end of 2015, adding capacity of 170 million barrels across nearly a dozen sites. Some of them are already finished, others will come online soon. With some of these new sites coming online, China is accelerating its oil imports. “Despite a slowing Chinese economy, crude imports remain robust on the back of accelerated stockpiling activities into operating and commercial storage,” Wendy Yong, an analyst at the consultancy FGE, told Reuters. China’s increased level of imports puts it nearly on par with the U.S. in terms of absolute volume of crude imports. The U.S. imports around 7.3 million barrels per day (mb/d), and although China’s imports fluctuate, its import demand is only around 0.5 mb/d less than that. Although China’s economy exhibited some very worrying signs over the summer, with a stock market meltdown and slowing GDP growth, its oil demand remains robust, at least for now. The IEA estimates that China posted a 0.6 mb/d annual demand growth rate in the 3rd quarter, or as the Paris-based energy watchdog put it, China accounts “for roughly one-out-of-every-three-extra barrels of oil delivered globally.” Related: The End Of The Oil Major? Still, although different analysts see different time horizons, China’s demand for oil will most likely slow at some point next year. The demand to fill the SPR can only be temporary. And in any case, the additional demand is not enough to soak up the supply overhang that currently exists in the market. In fact, some analysts are growing concerned that there is a larger downside risk to oil prices that few people are paying attention to. Just as the markets bid up the price of oil in the spring of 2015 on the expectation of a turnaround, the latest rally could also be premature. Oil has already dropped back and given up all the ground that it had gained in early October. Some of the gloomiest analysts think that oil prices could dip below $30 per barrel once the markets realize that demand may not be able to rescue the glut of supply. “I think there is a 30% probability to even go down to $25 in the next 10 months, as storage capacity gets filled and demand will keep on being revised down,” Pierre Andurand, an energy trader, told The Wall Street Journal. To punctuate his point, the EIA’s weekly data shows a huge uptick in crude oil storage levels in the U.S., illustrating the ongoing glut. Oil inventories surged by 7.6 million barrels last week.